(6:50) M.Brunell pass deep left to B.Edwards for 52 yards, TOUCHDOWN. Published: Jan. 2, 2011 at 03:09 p.m.
(:22) (Shotgun) M.Brunell pass deep left to S.Holmes for 17 yards, TOUCHDOWN. 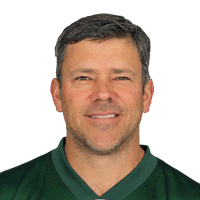 Published: Jan. 2, 2011 at 03:01 p.m.
Mark Brunell throws deep to Braylon Edwards who leaps and pulls down a 52-yard touchdown. Published: Jan. 2, 2011 at 02:27 p.m.
Mark Brunell and Santonio Holmes hook up for a 17-yard touchdown at the end of the first half.